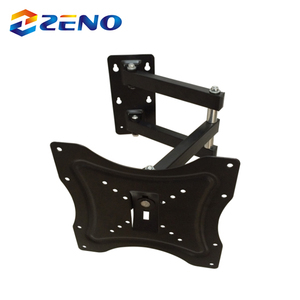 Wen'an County Junfa Hardware Products Co., Ltd.
Wenzhou Shangbo Science and Technology Co., Ltd.
Ningbo Haishu Woofan Hardware Industry & Trade Co., Ltd.
Yuyao Yuda Industrial Co., Ltd.
Shenzhen Manufacturer Swing Arm Tilting LCD TV Wall Mount Bracket for Sony for Samsung for Vizio for Panasonic 32-65"
Extended Warranty 3-Year limited warranty on WebiT Products, upon registration for extended warranty. With the unique location advantage of Ningbo port,WebiT has exported to over 30 countries. 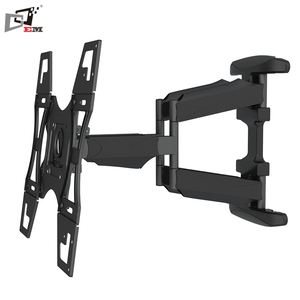 5) What is your Product Warranty9 ---As Europe market, we have CE RoHS and other international safety standard for our products. 6. Higher price performance and better customer services. 9. Offering top one sales service, professtional product knowledge. What we do is to keep our promise and to honour our contract. 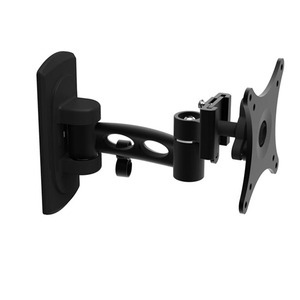 Shenzhen Xinadda Ir-Pi Products Co., Ltd.
Q2. What is the lead time9 Normally speaking, it asks for 45 days for mass production except during observed holidays. Q3. What is the warranty9 We provide 5 years warranty, so you can rely on the quality of our products. Q4. What&rsquo;s your term of payment9 We prefer to T/T, 30% deposit and balance 70% paid before shipment. Ningbo Haiwen Imp.& Exp. 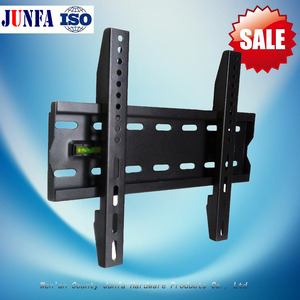 Corp., Ltd.
Guangzhou Goodpartner Technology Co., Ltd.
: 1.Our company is a manufacturer , Competitive price. 3.QC team will follow strictly test before shipment. 4.We will reply you for your inquiry in 24 hours. 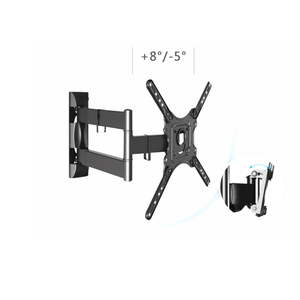 Tags: 360 Degree Tv Wall Bracket | Vesa 75*75 Swivel Tv Wall Mount | Lcd Monitor Swing Arm For 10" - 26"
Ningbo Jiangbei MG Electronics Co., Ltd.
Monitor can be tilted, swiveled and rotated. 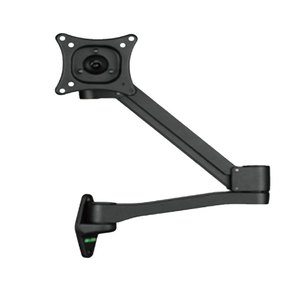 Why Diwei9 LCD Monitor Arm products and ergonomic office products manufacturer, exporter & exporter in Taiwan. 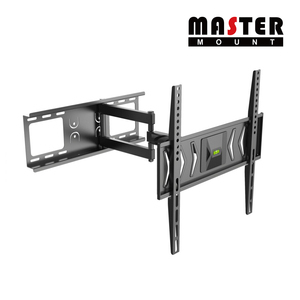 We offer you all kind of "ergonomic computer and office products" with high quality, competitive price and best service. Sample cost will be refunded once the order is confirmed. Q: What is the term of payment9 A: Online trade assurance orders first. A: We'll inspect the products one by one before packing. 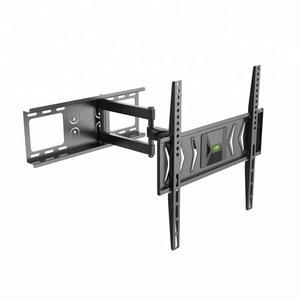 : YN-337AT VESA: 200X200mm Loading weight: 20kgs Distance to wall: 70-520mm Swivel: 180&deg; Tilt: +/-15&deg; Adjust the alignment of tv left and right 10&deg; TV Screen:17"- 32" Accessory kit of YN-337AT: +With bubble level +silver and black colors on powder coated Accessories: Installation guide and complete hardware kit. 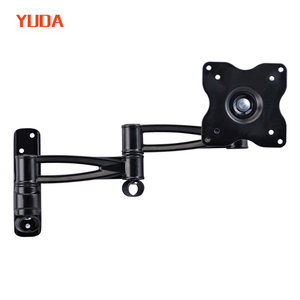 color:black/sliver Material:metal Place of origin:China If you have any interest,please feel free to contract me directly,we will try our best to meet your needs with our best prices and service. 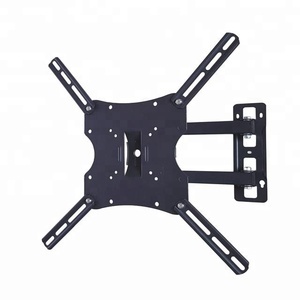 Besides,we could also make items according to your design,and will try the most to meet your demand. Zhejiang Jielaier Tools Co., Ltd.